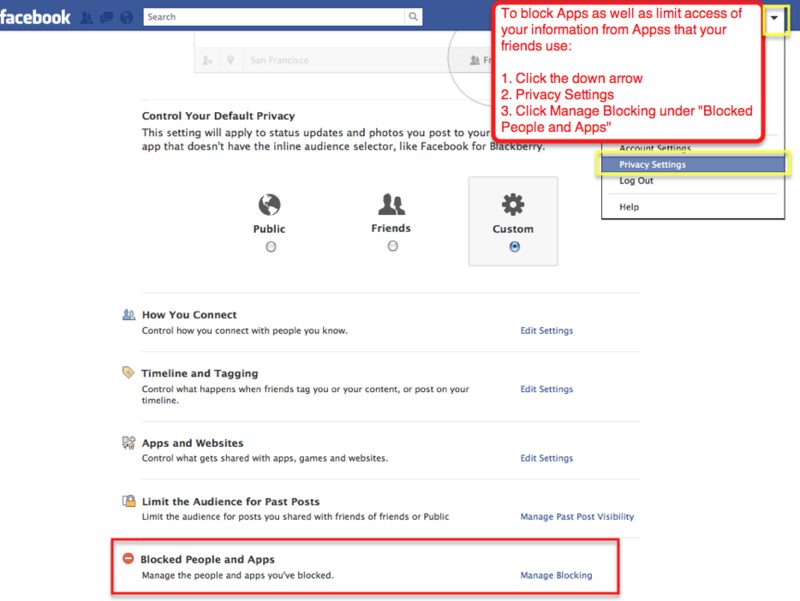 Is Your Facebook Account Information Safe From Prying Apps? 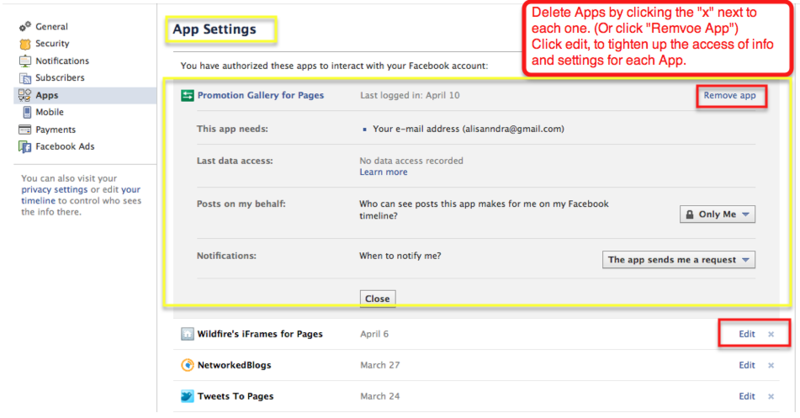 - InsideOut Solutions, Inc.
Is Your Facebook Account Information Safe From Prying Apps? 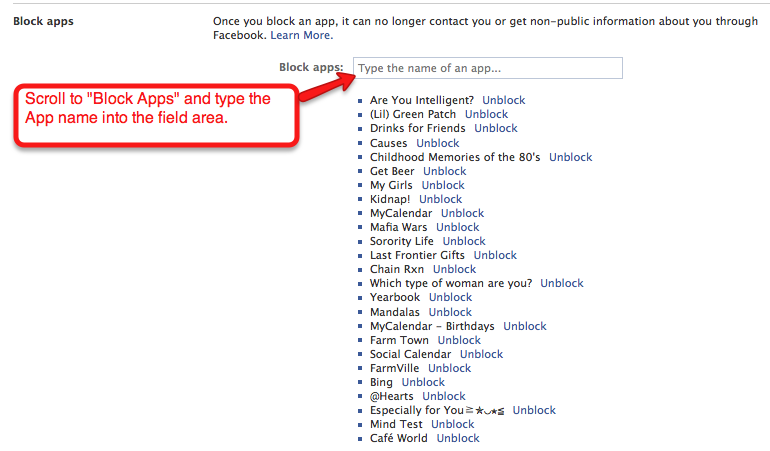 Are Facebook Apps Viewing Your Personal Information? She requested some help with this, so I asked her to go to her account settings and click on “Apps” in order to investigate and remove the offender. What we found in the list shocked her. 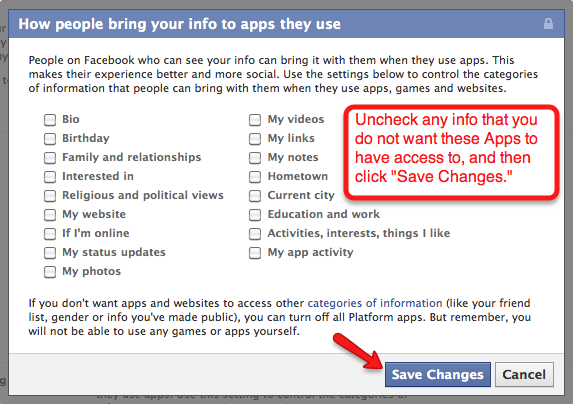 Not only was the “Facebook Goes Pink” App in the list, but so were over 30 other Apps she didn’t recognize. She said she had no idea those were operating inside her account. I showed her how to go through the list, remove those she didn’t want, and how to edit each of the apps she did want to keep but to remove all the non-essential info the Apps had access to in her account. I told her that many of these Apps were granted access to her account because she had probably interacted with a friend who used the App by commenting on the friend’s status. I think it worthwhile to offer step by step instructions on checking your account for rogue Apps, tightening up the settings for Apps you do want to use, and (very important) disabling access to your account info for the Apps your friends use. Let’s look at an App to see what it will pull if you allow and enable it. This is only one example. Some apps require more info to be pulled. You need to analyze each App before allowing access in order to determine if you are comfortable granting access or not. Click on the images in this post to view at full size. Go through the list and click the “X” to delete any Apps you don’t want in your account. If you want to keep an App, click “Edit” to edit the amount of access the App has, and also to see when it last accessed your info. You can also edit the “Posts on my behalf” visibility in the drop down menu. (The Apps you see in this list are my own personal list, and for me, have been proven to be spammy, or I just prefer not to see any news from them show up in my Newsfeed when friends use them). 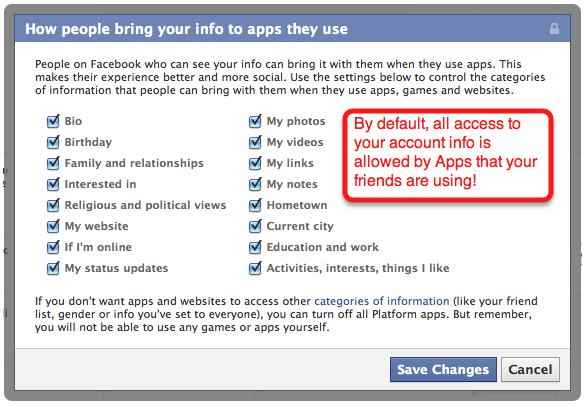 Now let’s disallow the access that your friends Apps have to your account. 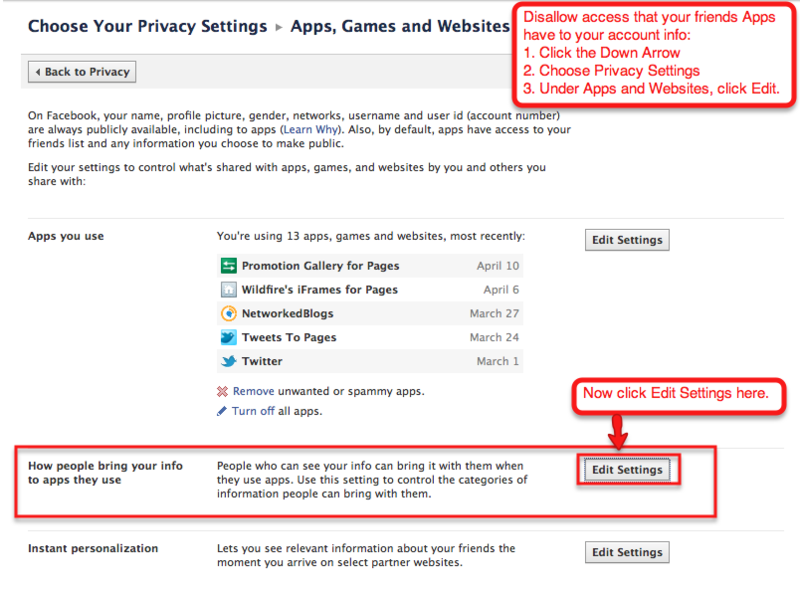 Again Choose “Privacy Settings” and click “Edit” under “Apps and Websites.” Now under “How people bring your info to apps they use” click “Edit Settings” (You may also want to explore the settings for “Instant Personalization*” and “Public Search” as well). 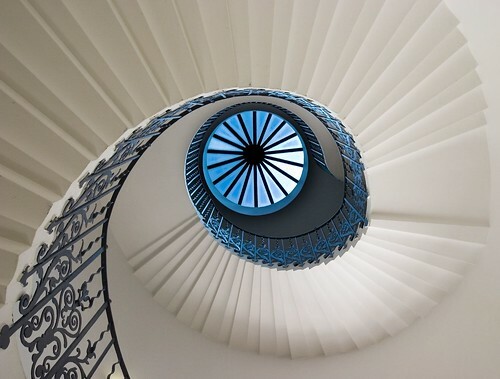 Now that you’ve battened down the hatches with a bit more privacy and security on your personal profile, I would suggest revisiting your list of Apps periodically to see if any new ones have been installed, or to remove those you no longer want to allow access. 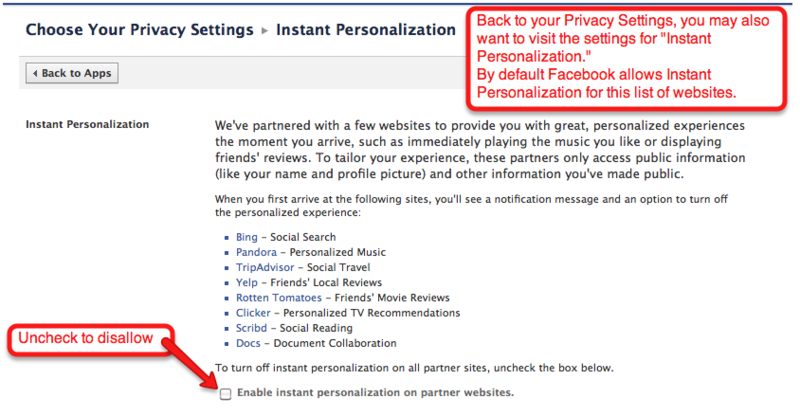 To learn more about sharing your info with other website and apps, please visit privacy page on Facebook.